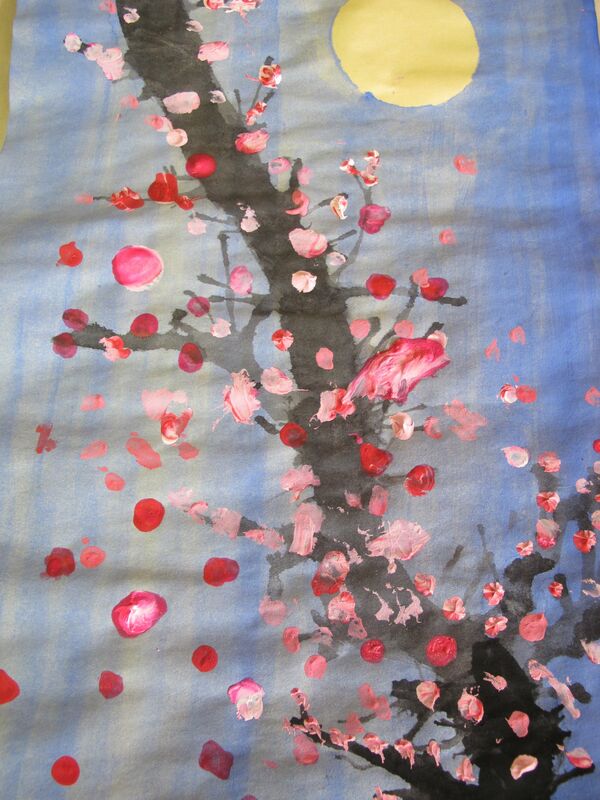 It is spring when cherry blossoms are everywhere! 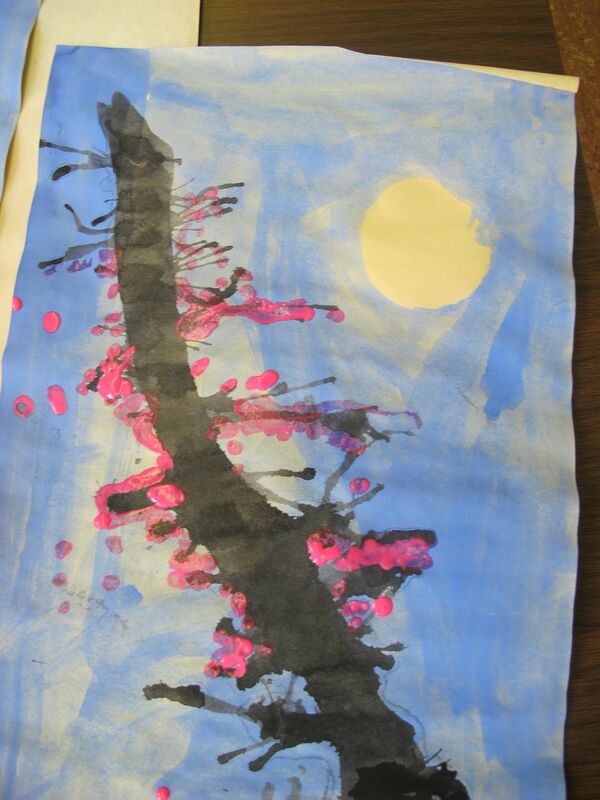 We just completed the most gorgeous Art Project celebrating Spring. We are lucky that we get to walk under numerous cherry trees during Walk and Talk as they surround Seymour School. 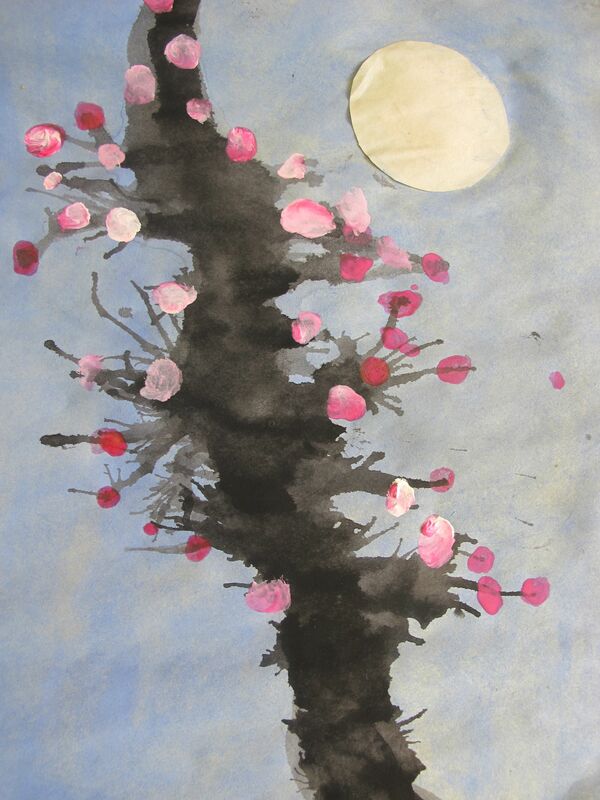 In honour of the gorgeous pink blossoms and sweet scent we created . . . 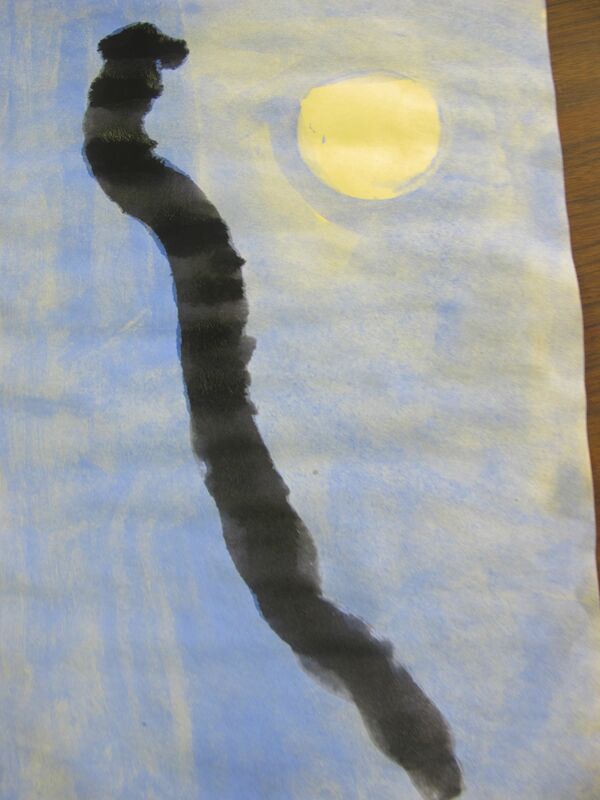 Step one: Paint a blue sky background, using an upside down yogurt container to protect an area and create the perfect full moon. 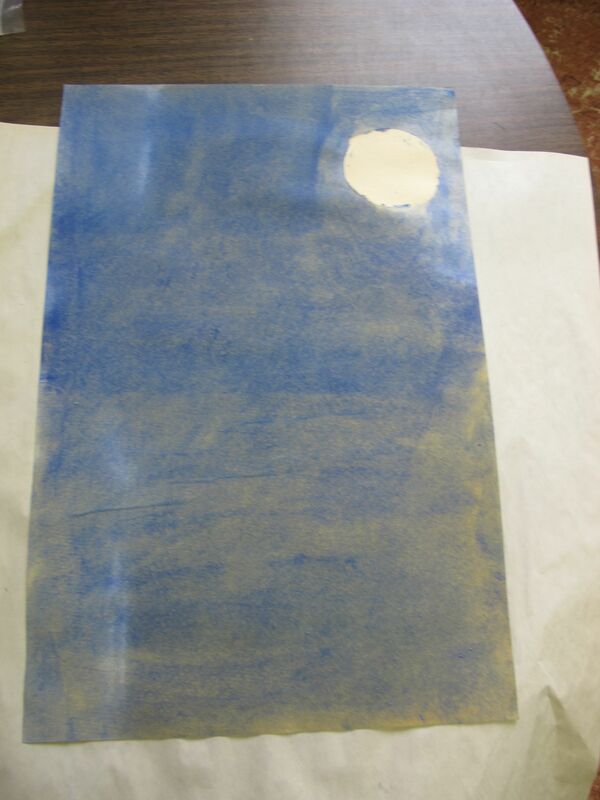 Step two: Using watery blue paint, paint blue over the entire page and then let dry overnight. Step four: With a tiny straw (I cut full sized straws in half) blow! 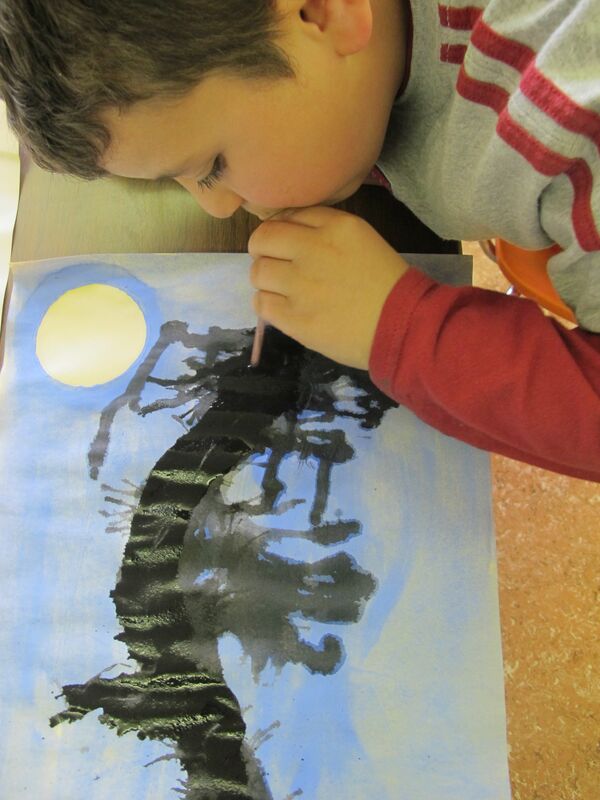 Create branches by chasing wet paint across the page. This is lots of fun! Let dry. 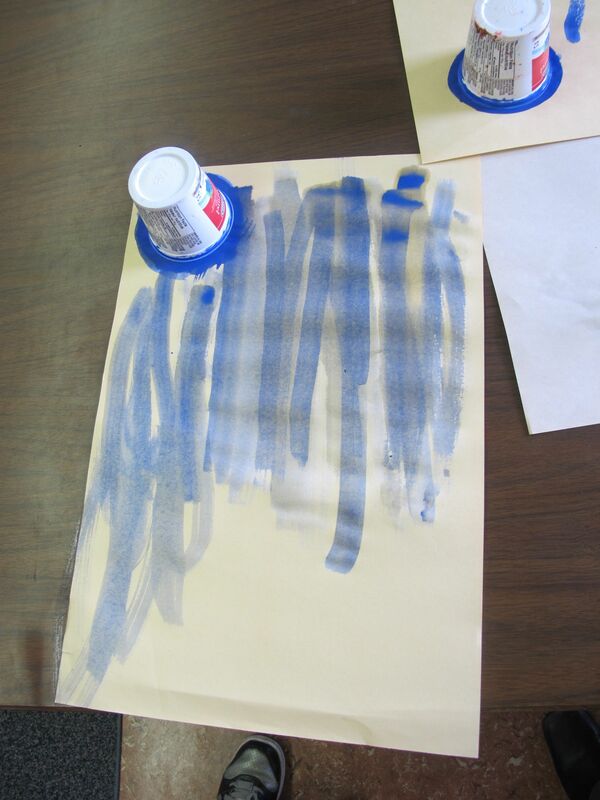 Helpful tips: blow with straw right in the paint! 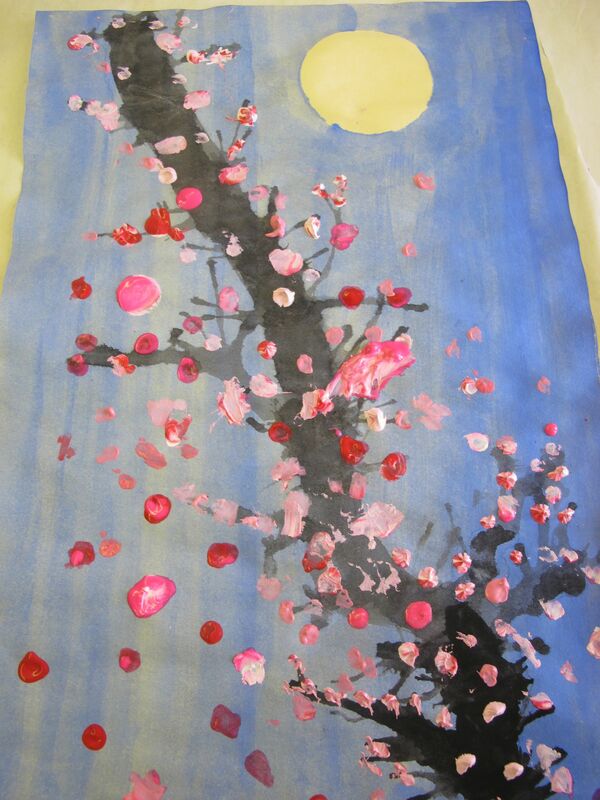 Step five: Using a mixture of red, pink, pale purple and white paint, create blossoms. We think they are beautiful! Come check out the display in the hallway outside of our classroom! Happy Spring! 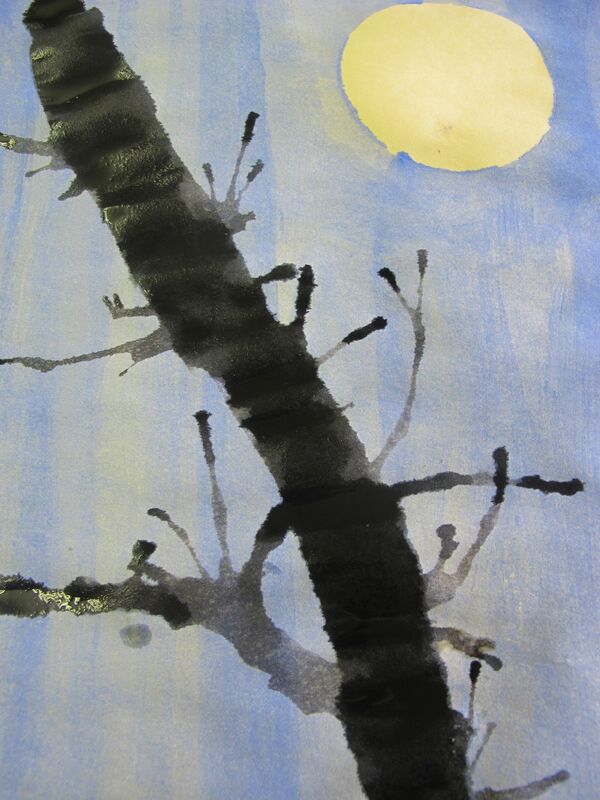 This entry was posted in Art and tagged art by carriegelson. Bookmark the permalink. They are beautiful! 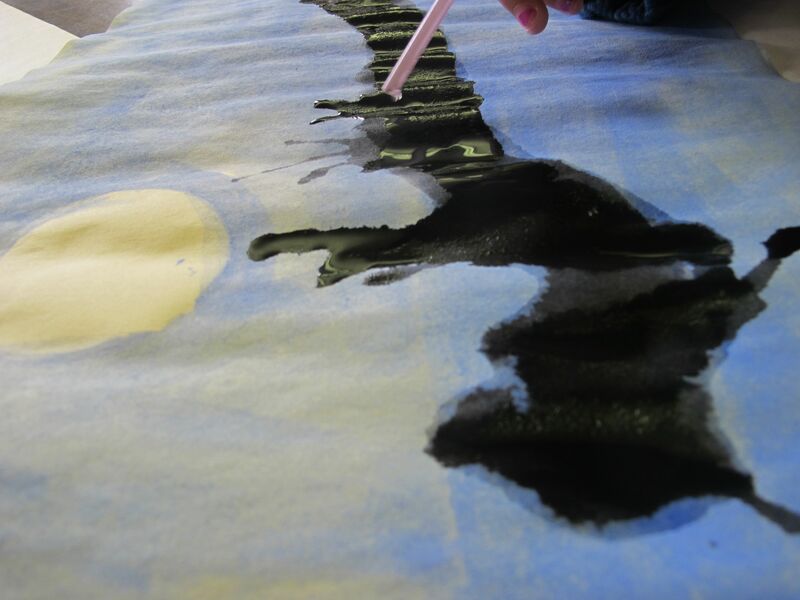 Art is one of the things I miss about teaching elementary.